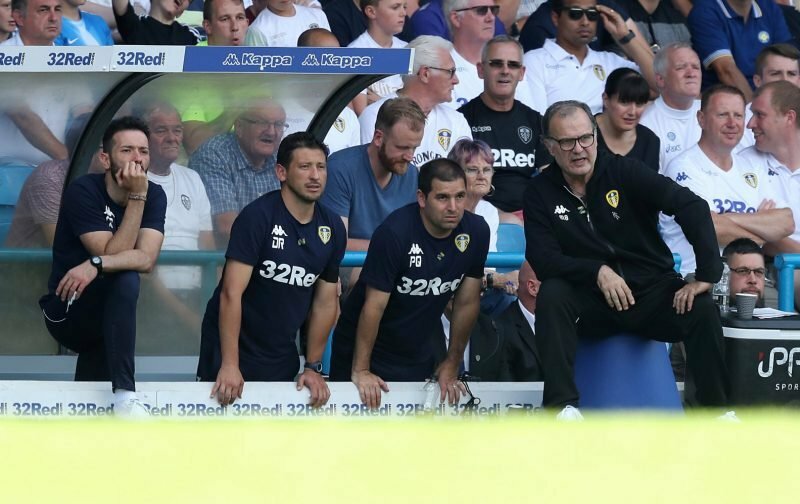 Marcelo Bielsa’s right-hand man Salim Lamrani has come to the support of the Leeds United boss after Christophe Dugarry labelled the Argentine “autistic” on French radio, and fans cannot get enough of it. Dugarry was joined by Franck Leboeuf on RMC Sport’s Team Duga show and was questioned by Jean-Louis Tourre on a number of matters, including Bielsa’s management style and the ‘Spygate’ drama. But the pair could not help themselves as they tore into the former Marseille boss and the suggestion that he aided the careers of Pep Guardiola and Mauricio Pochettino. Naturally, the comments from a member of France’s 1998 World Cup winning squad did not go down well, and Lamrani came to his colleague’s support on social media on Wednesday night. Absolutely class Salim. The gutter mouth on Le Bouf and Dugarry says more about them than anything else. Please let Marcelo know as a Leeds United fan I love the man (as I suspect the vast, vast majority of Leeds fan do to). Morning Salim, this might be a big statement but having Marcelo and all who’s he brought in at my club has resulted in the best football I’ve ever seen here. Bielsa is one of best things to ever happen to Leeds united and I’ve had a season ticket here a long time. Go on Salim, shots fired. It was mentioned on there & begrudgingly accepted. Ignore them Salim they are just ignorant and believe their own self importance. It just shows you must be doing something right if people are talking about you! !